Upload a photo and add text to this cute t-shirt for your furry friend! Create a one of a kind look for them to wear at the dog park. This trendy doggie tank is great for special occasions of all kind! 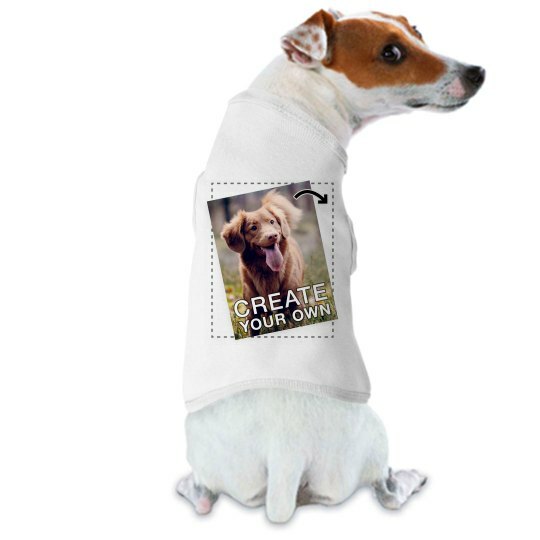 Show your favorite pooch some love with a customized top.